at Calgary Chinese Alliance Church! We are hosting two BBQs during the summer, one on July 09 and another on August 20. 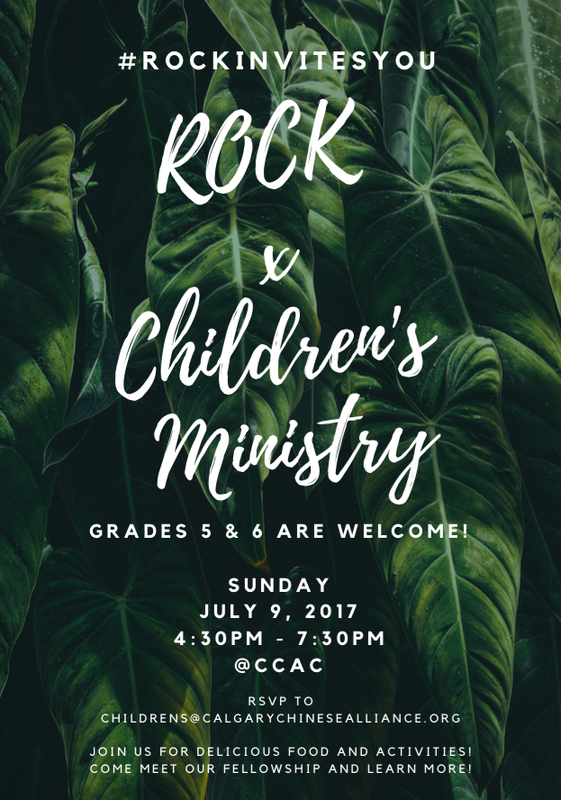 These BBQs are a great opportunity for the kids in gr5/6 to hang out with the teens, and to also get to know a bit about the Youth Ministry programs (ROCK Fellowship, Youth Sunday School) and the ministry leaders. Parents are invited to come, too! If your gr5/6 child would like to come for the July 09 BBQ, please RSVP by July 07. If your gr5/6 child would like to come for the August 20 BBQ, please RSVP by August 18. We hope to see you there! Have a wonderful summer break!